(1962) Dan Harrison, Gordon Mitchell, Bella Cortez. A new king to the Golden Throne of the Majii is to be named. The leaders of eight tribes must duel to the death, the winner to be named king. 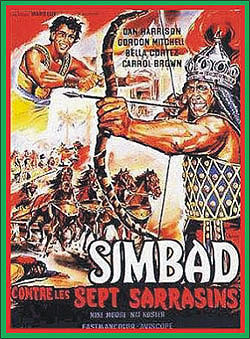 Ali Baba, one of the leaders, returns from the sea only to find his life imperiled by an evil tribal leader, played to the hilt by Mitchell. A bit faded, but not bad. Color 16mm.